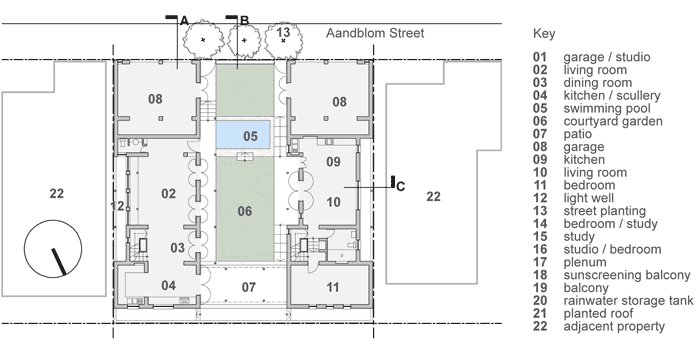 Two autonomous inner city houses, separated by a green courtyard. 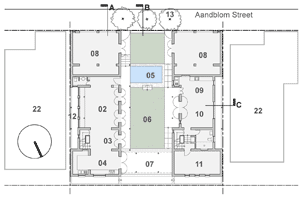 Aandblom Street is on the edge of Vredehoek beneath Table Mountain. The brief was for two autonomous houses separated by a green courtyard and pool with shared outdoor living spaces. 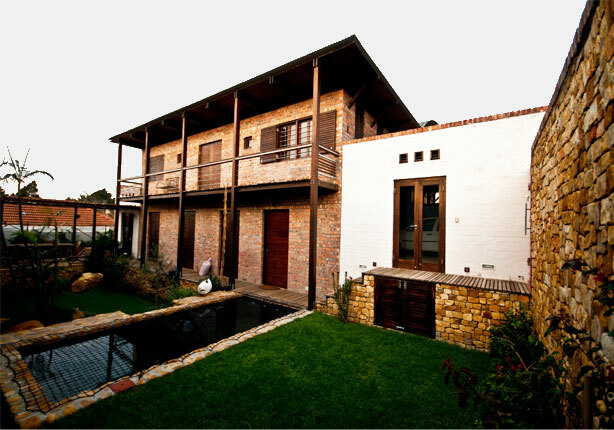 The original house was in a poor condition, was dismantled and the materials re-used. 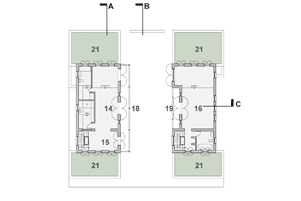 The site was subdivided lengthwise to allow two independent new houses. 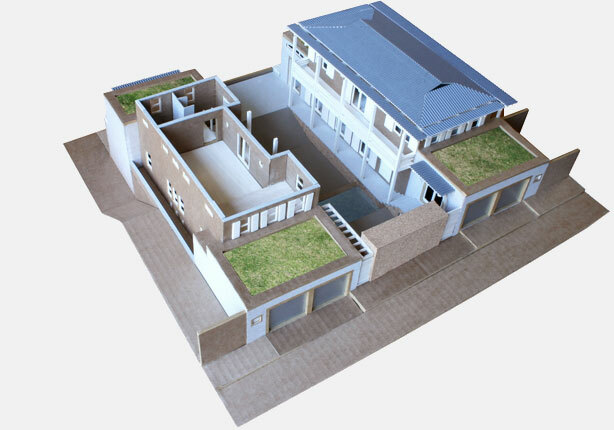 The design was informed by the available materials, unique siting and climate as well as the proximity of the neighbour’s houses. 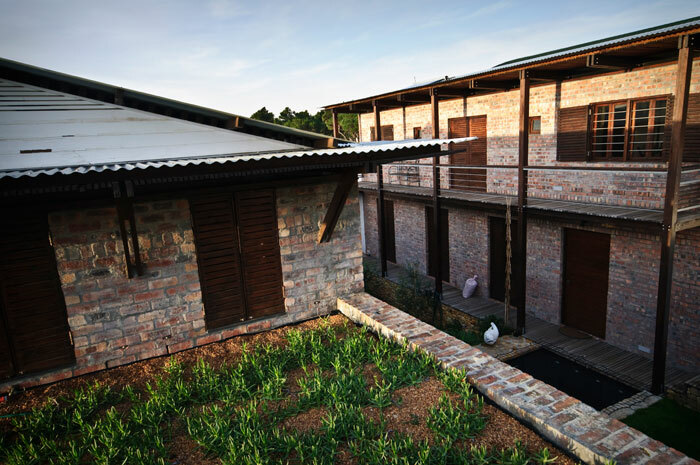 An analysis of the life cycle costs and off-grid potential also informed the design and material choices. 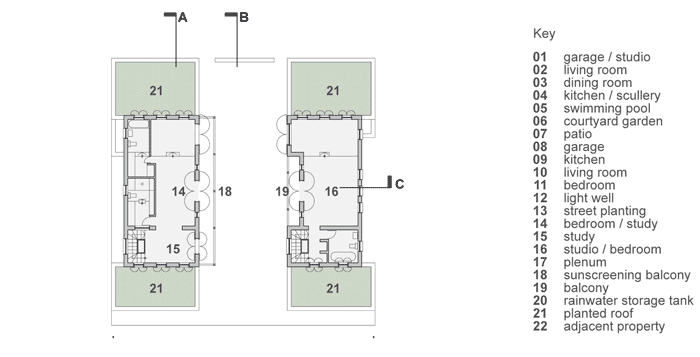 The result is two buildings which can be lived in independently but which are in harmony aesthetically and spatially. 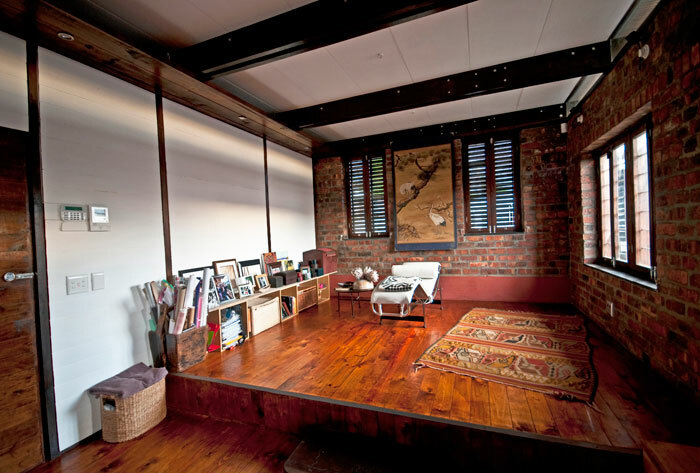 The materials sourced from the site and the original building were supplemented with recycled material from other sources such as shutters and insulation from old train coaches and recovered stadium timber seating. 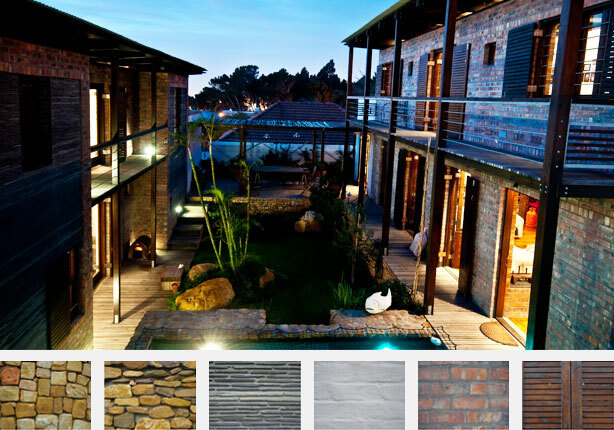 The house was designed on the principles of materials first, design second. 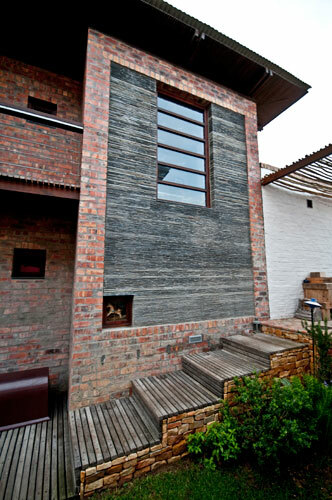 The particular combination of sourced materials was an opportunity for unique design details realised through onsite crafting. 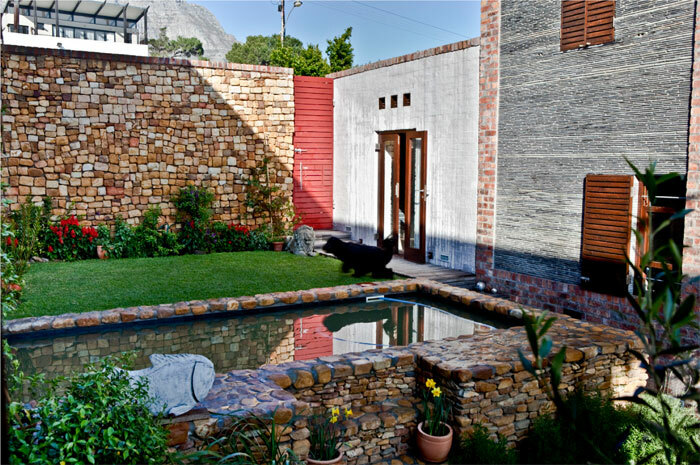 The siting of the wind protected courtyard lengthwise on the site gives framed views of the city bowl at one end and of Table Mountain at the other. 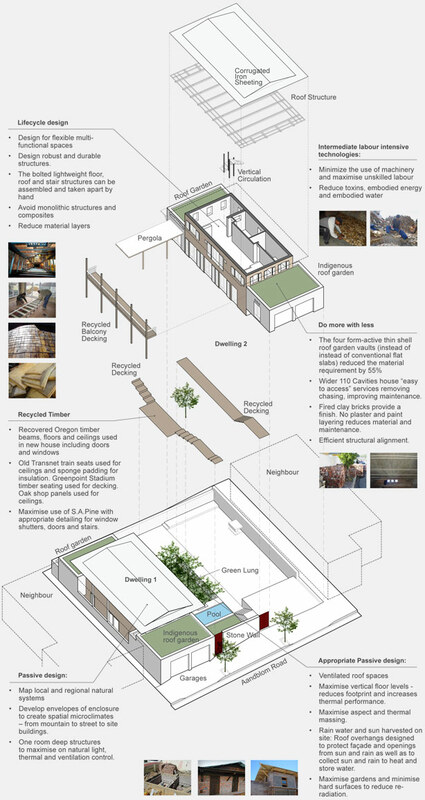 The shared garden courtyard is a crafted interplay of steps and levels. One dwelling is invited to inhabit the grass square from its living room on the same level, while the other is led to an upper level pergola patio overlooking the city.